Dr. Dee Stokes (Ed.D) is an author, educator, pastor and founding member of the Faith and Education Coalition and a member of the United States National Prayer Council. I am a black female with four degrees, including a Doctorate of Education and Masters of Public Administration. I coached basketball for 18 years at many fine collegiate institutions and have experienced many things in my life. The blessings that surround my life have been numerous, indeed, but I would not be the leader I am today without the strength and guidance of two women who understood the value of what they didn't have. My grandmother only had about an eighth-grade education. My mom didn't earn her undergraduate degree until she was 50 years old. Growing up under their watchful eyes in Arkansas, there was never a doubt that I would attend — and graduate — from college. They instilled in me a love of learning and helped me to understand how an education could open doors that otherwise would remain locked. I didn't fully appreciate that until I was in graduate school when I began to understand being exposed to education doesn't just happen in the classroom. Classrooms and teachers are vital, but the most important thing is exposing children to education from their earliest years. That exposure can happen walking through a campus or traveling the world or through that mainstay of African-American culture, our churches. Now more than ever, African-American children need the encouragement and assistance of our communities to stay in school. A report from the federal Department of Education showed that in 2012, African-American students in public high schools had a graduation rate of 68 percent, a 9 percent increase from 2006. Research also showed that the problem of "dropout factories" — schools that regularly graduate fewer than 60 percent of students — is on the decline, we still have a lot of work to do. The higher academic standards that more than 40 states adopted starting in 2010 will help us get that work done. Conceived by state governors and leading educators, these standards reject the premise that students cannot succeed in a more challenging academic environment. That attitude has done an incredible disservice to minority students by effectively telling them they can't succeed, no matter what the standards. This is absolutely wrong. What I know from my years as a coach and educator is that students want to be challenged, they want to work hard, and they want to prove to themselves and to anyone who doubts them that they can achieve academic greatness. The question is: will we support the means for them to do this? Each February, we honor the African American leaders who sacrificed so much for us. We talk about the inspirational leadership of Martin Luther King, Jr., and we hope that children come to understand his legacy both as a man and an icon. We honor those who stood up, those who sat down at a lunch counter, those who marched, sang songs, dodged dogs and hoses, and those who had the quiet courage to walk into a school. For too many students, the struggle to realize the potential for which our legends and icons fought is still real. But for the least-served students in our public education system, they finally have a chance for academic equitability through higher academic standards. Go out to any inner-city school recess yard, and you will hear students talking about respect. But consider the inordinate amount of disrespect we are showing them by accepting lower standards. In Luke 4:18-19, we are told that the Spirit of the Lord anoints us to preach the gospel to the poor and to heal the brokenhearted. This is the theme of my entire ministry because education is not just about learning to read, write, analyze, add and subtract. It provides hope and dignity. It provides for a better world than what students have now. It is a promise that we will take the words of Dr. King and continue on in action. 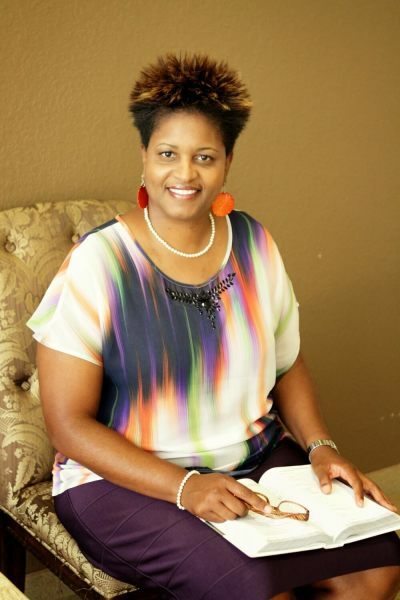 Dr. Dee Stokes (Ed.D) is an author, educator, and pastor as well as a founding member of the Faith and Education Coalition and a member of the United States National Prayer Council. Dee Stokes Ministries is based in Winter Park, Florida.